POWERED WITH PRIDE 5K Run/Walk & Comfy Cow Chase Kid's Fun Run delivered by UPS returns for its FOURTH ANNUAL run/walk on Saturday, June 11, 2016 in Louisville's beautiful Cherokee Park! PWP's mission is to engage and empower communities, by fostering a healthy sense of self, one proud step at a time! In 2015, PWP Nation raised $13,350 for our charity partner, YMCA Safe Place Services, and a handful of other area organizations! REGISTER EARLY! In 2016, PWP will be CAPPING REGISTRATION AT 600 PARTICIPANTS to ensure an optimal event experience. 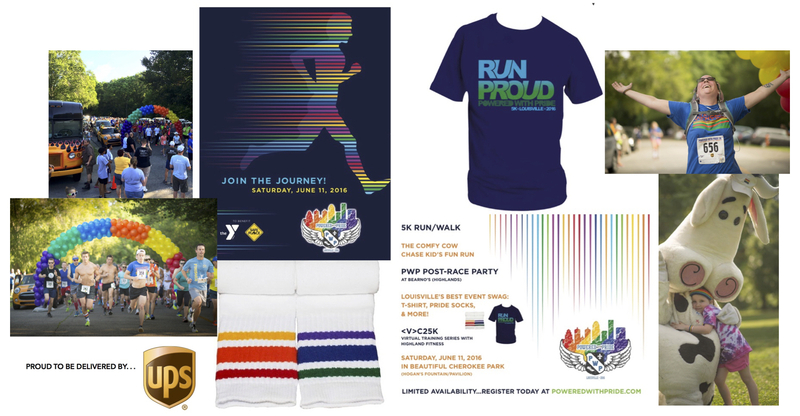 Those participating will receive what is quickly becoming one of Louisville racing's most sought after amenities package of...T-Shirt, Pride Socks, admission to the infamous PWP Post-Race Party and more! PWP is also proud to return the wildly popular Comfy Cow Chase Kid's Fun Run for children ages 12 and under. Starting at 10am, the fun run is a safe and fun "dash in the grass" as they playfully chase the Comfy Cow mascot across the finish line. The cost is only $5, and all kiddos participating receive a finisher's ribbon and FREE scoop of Comfy Cow ice cream! RETURNING 2016 primary charity partner: YMCA Safe Place Services! ~ PWP Post-Race Party at Bearno's (Highlands)! ~ PWP/Highland Fitness <virtual> Couch to 5K (VC25K) training program starts in May. Awards & Doorprizes (immediately after 5K)! PWP Post-Race Party: 11am-1pm at Bearno's--Highlands location! 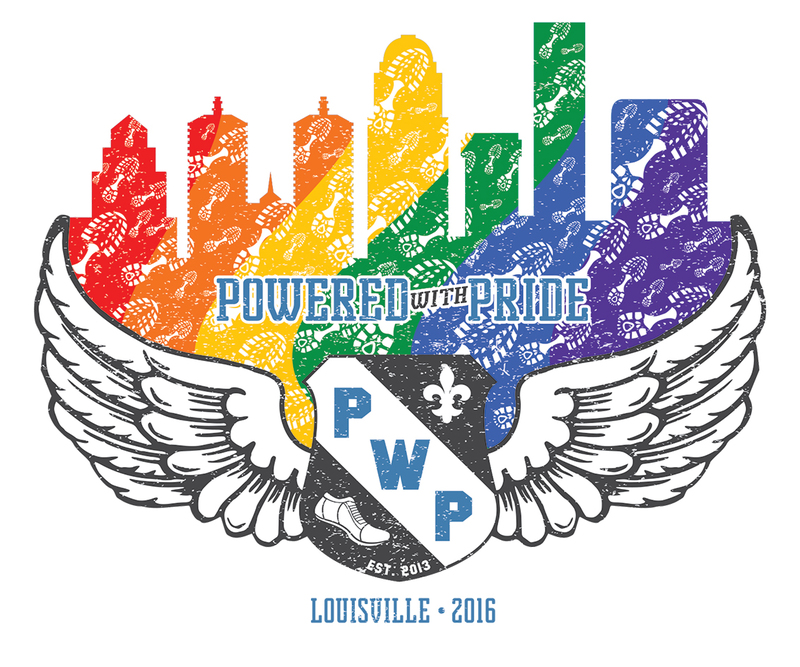 For the latest news and information on PWP can be found at www.PoweredWithPride.com and www.Facebook.com/PoweredWithPride.